Being a resident of south east London, this restaurant was somewhat of a mission to get to. Oh what lengths the S&S team go to, to provide you, our readers, with the most informative of halal food reviews. There has been much hype surrounding Royal Nawaab of Perivale; the newest Pakistani buffet on the block. We had to go check it out. If this place was indeed to live up to its hype, there was potential for some serious hefty eating to be done. My stomach was prepared to pre-surgical proportions; starved for 6 hours. S&S were about to go in! I pulled up to the Hoover Building in which it is situated and was extremely impressed to see a free underground customer car park. Having been pre warned as to the expected wait for a table, I calmly met the lads, took my buzzer and sat patiently in the waiting room for a table to become available. For those needing to pray, this waiting period would be a perfect time to take a trip to the designated prayer room. With cat-like reflexes I jumped out of my chair as the buzzer went off after around 30 minutes of waiting. It was time! The main dining area is a large hall packed out with tables for a few hundred guests. The food is aligned over 2 perpendicular walls of the rectangular hall. An orderly queue of customers waddled swiftly along the buffet line, filling their plates with a wide variety of dishes. The efficiency of food replenishment meant constant supply of freshly cooked food. Behind the buffet counter were the chefs themselves, preparing and serving the food in front of you. Round 1 of this buffet was obviously starters. 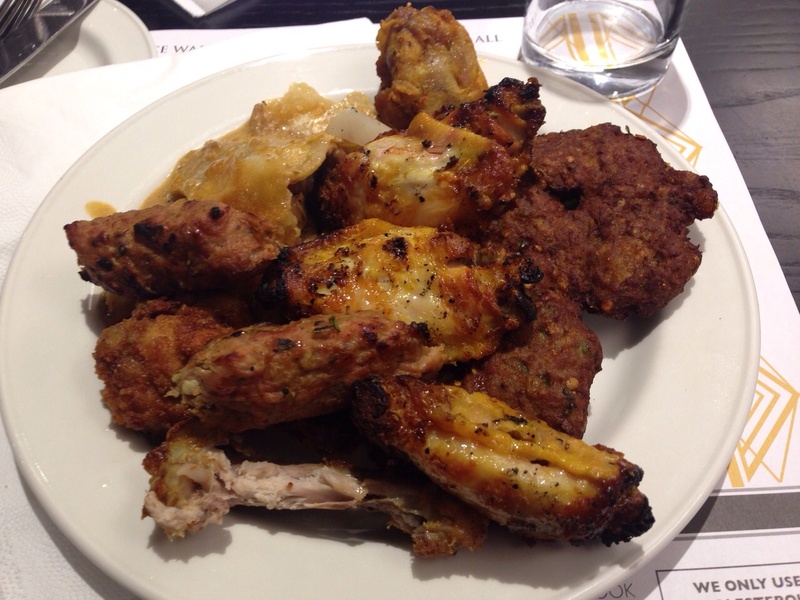 Located at the very start of the buffet line, I quickly picked up some chapli kebab, chicken tikka, seekh kebab, lamb chops and grilled chicken wings. I’m a barbeque kind of guy. Stopped off to the sauce counter to stock up on an assortment of chutneys and condiments, before sitting down to tuck in. A well flavoured, well cooked, tasty, fresh seekh kebab speaks volumes of any Pakistani restaurant, let alone a buffet! I was impressed. The lamb chops were tender, juicy and a decent size. Next I thought to look at the curry options. I walked past all your standard karahi dishes but I was in a mood to try something different. One thing not lacking in this place was variety. I opted for some haleem and nihari with naan. Not only was this buffet serving food that is rarely found on a la carte Pakistani restaurant menus but was some of the tastiest food I have had. Nibbling on my friends’ food along the way, I managed to taste a huge selection of food. 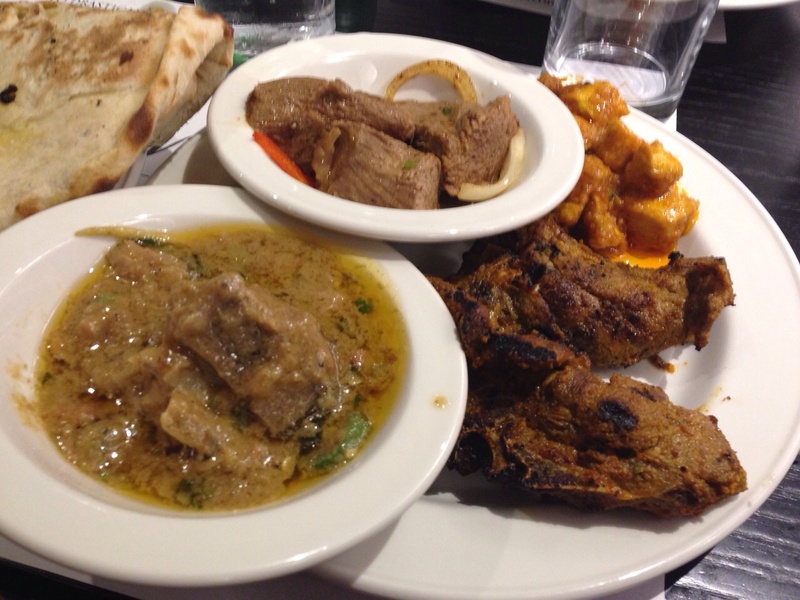 Other notable mains were the roast lamb and the namkeen gosht. Not a big rice eater, I didn’t even manage to try some of their biriyani. Albeit usually a breakfast dish, I really fancied some halwa puri. The halwa had excellent texture and the right level of sweetness. Puris were being fried fresh for all to see. For those wanting international cuisine, Italian and Chinese dishes were also available. Royal Nawaab caters for all your needs. If proof really is in the proverbial pudding, then unfortunately Royal Nawaab is somewhat lacking. The desserts were a disappointment. Cakes were unremarkable and the kheer and gajar halwa were weak. It’s difficult to go wrong with gulaab jaman and ice cream; this saved it for me and I was able to fulfil my sweet tooth needs. All in all an amazing dining experience. A vast buffet that hasn’t compromised on quality. Service: 4 – quick replenishment of fresh hot food. Constant attention from waiting staff. Ample free parking. Long wait. Venue: 4 – spacious, well organised layout, smart décor. Set in an iconic building. 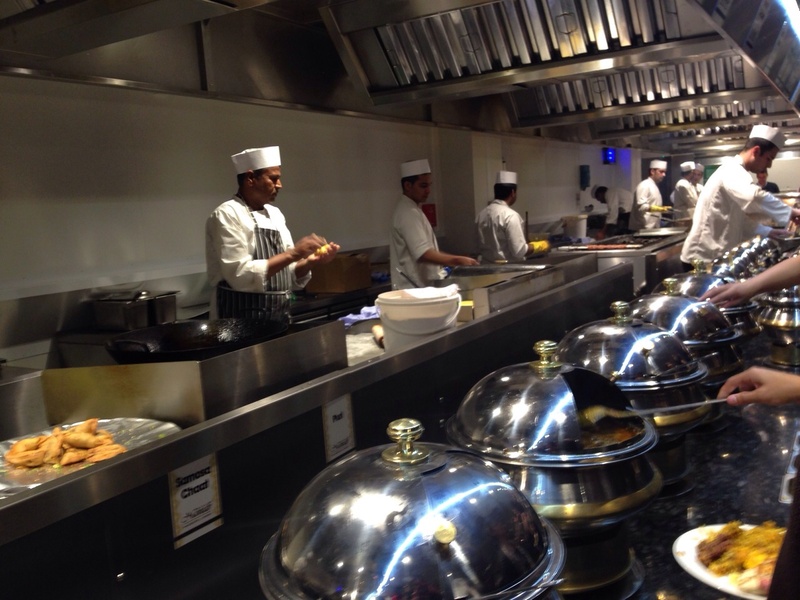 SAS Factor: 4 – the first Pakistani buffet I have been to in London. No compromise on providing top quality and excellent variety despite being all you can eat buffet.